We believe in a carefully balanced democratic system of government where the legislature enacts laws, the executive branch enforces them, and courts interpret them. When one branch upsets that equilibrium, it threatens the harmony and integrity of the whole and erodes public confidence in the institutions. The legislature heard several serious concerns about SB171 during the legislative session and ultimately the executive branch voiced its strongest opposition possible when the Governor exercised his veto power. In turn, a supermajority of the legislature has chosen, as is its prerogative, to go forward with this new law. If SB 171 is challenged, the courts will have their important role to play in deciding whether the law will stand or be rejected. We respect the role of all branches and have faith in the long-term results of our system of checks and balances. 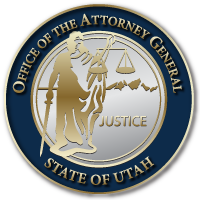 In the Office of the Utah Attorney General, we will continue to do our duty and defend state laws, unless and until there is a decision from the courts requiring us to do otherwise.